-Use a sharp knife and scrape the corn on cob from top to bottom. We want only the kernels. – Put the roasted & salted cashew nuts into an electric blender and blend for 20-30 seconds. Transfer the cashew nuts into a small bowl. -Put the red Bird eye chilli, garlic, fish sauce, lemon juice and honey into the blender and blend until all ingredients combined. This is your salad dressing. -In a large mixing bowl, put the shredded raw papaya, sweetcorn, tomatoes, salad dressing and cashew nuts. Toss all the ingredients together. 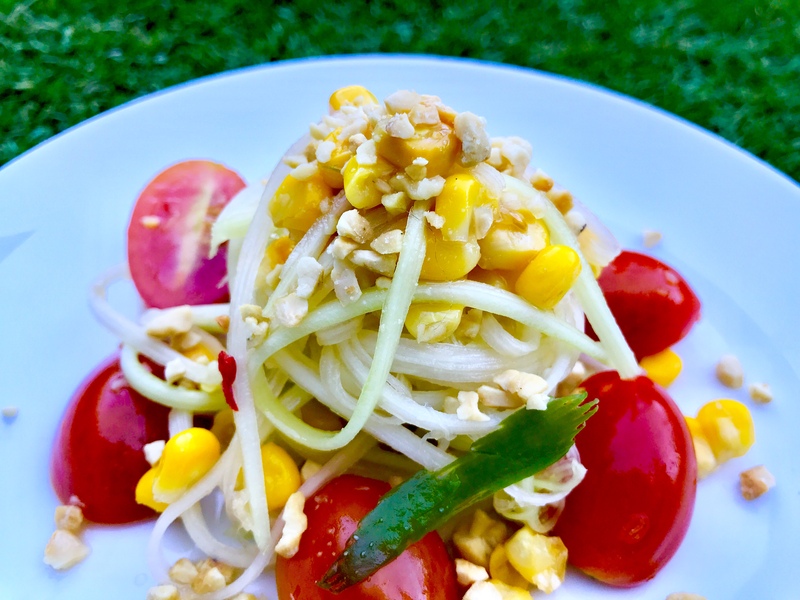 -Transfer this fresh Papaya Salad on the serving dish and serve immediately. 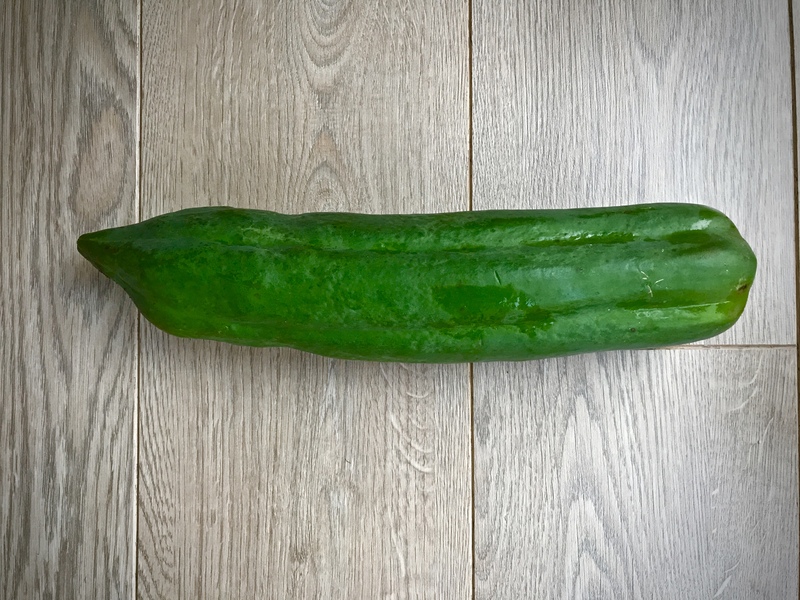 -An authentic Papaya Salad uses the pestle and mortar. So if you have got one, please feel free to use it. -Thais often serve this salad with roast chicken and sticky rice. But I do love it with fried battered scampi. Yes, I said it!!!! The mild acidity of salad goes perfectly well the good old English scampi…. oven cooked or deep fried…it’s all good. -Use the swede or carrot if you struggle to find the raw papaya. But let’s face it… This dish is called papaya salad after all.